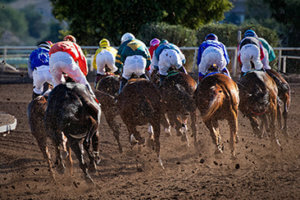 Whether you enjoy the pleasure of trail rides or the excitement of horse racing, Florida has a deep connection to the equine sector Florida’s Thoroughbred racing supports more than 12,000 jobs and generates $400 million in wages and benefits for the Sunshine State. Arguably, no horse race is quite as exciting or watched as much as the Kentucky Derby, the first Saturday in May. Last year’s TV viewership averaged 16.4 million, according to The Nielsen Company. In fact, the last two Triple Crown winners have ties to Ocala or Marion County – American Pharaoh, trained in Ocala, and Affirmed, who was born, bred and trained in the county. This year’s May 5 event will continue the tradition of Derby contenders with Marion County ties. Two horses running trained in the Derby, Magnum Moon and My Boy Jack, trained in Ocala.